It's happened! House Speaker John Boehner brought a clean debt ceiling bill to the House floor Wednesday, abandoning the hopes of the Republican Party's hardline members, who wanted to use the typically pro forma bill to extract policy gains from the Democratic Party. This is a payoff that President Obama staked a large measure of his political capital on when he refused to accept policy negotiations or trade-offs to approve a new debt ceiling increase. The announcement lays bare the political realities by which Boehner feels constrained — and signals the end of his so-called "whale of a fight." This is a matter of major consequence to Boehner's political legacy. It was he who coined the Boehner Rule, stating that any increase to the federal debt ceiling must be accompanied by an equivalent amount of spending cuts. This is the danger of tying such doctrinaire political theory to your own name — when the opposition gets some leverage and starts leaning into you, it's easier to make concessions if there isn't a rule you named after yourself demanding the contrary. I would hope not. As I said before, this is a lost opportunity. We could have sat down and worked together in a bipartisan manner to find cuts and reforms that are greater than increasing the debt limit. I am disappointed, to say the least. His House membership obviously won't pass the bill themselves, however. As has been a common sight whenever the House needs to get something crucial done in bipartisan fashion, you'll likely see virtually all Democrats vote for the bill, and a thin smattering of Republicans. This may not be the scenario many of them had envisioned, either, with a House Republican saying the announcement was met with "stunned silence." The passage of a clean bill would be a welcome gasp of fresh, crisp air in comparison to the acrimonious battles that have become commonplace in the Obama era, so dire as to cause America's S&P credit rating to be downgraded in 2011. All that stands in the way is Boehner's ability to find 18 House Republicans willing to join the Democrats. 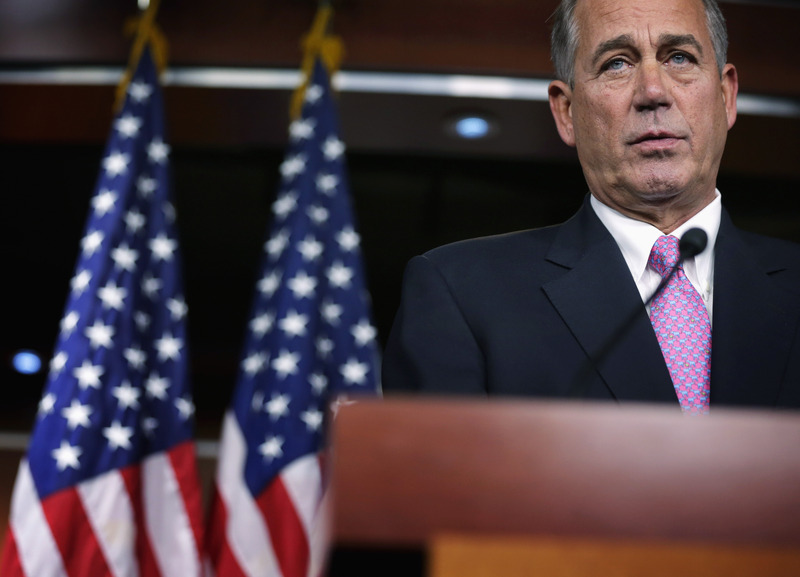 One of those is already taken care of: As Boehner confirmed, "I'll be one of them."